Advent is a season of special grace. It is a time of purposeful waiting. God desires to come to us in a deeper way. Just like the quiet stable that holy night, 2,000 years ago, we can humble ourselves and open the doors of our hearts to receive Him! Just as shepherds and kings celebrated Jesus' coming, we are called to also spend Advent with our family, friends and even the lost and the lonely outside our circles. As the days of Advent come, one by one, let us try to do the tasks for each day. May you be blessed and enriched abundantly! 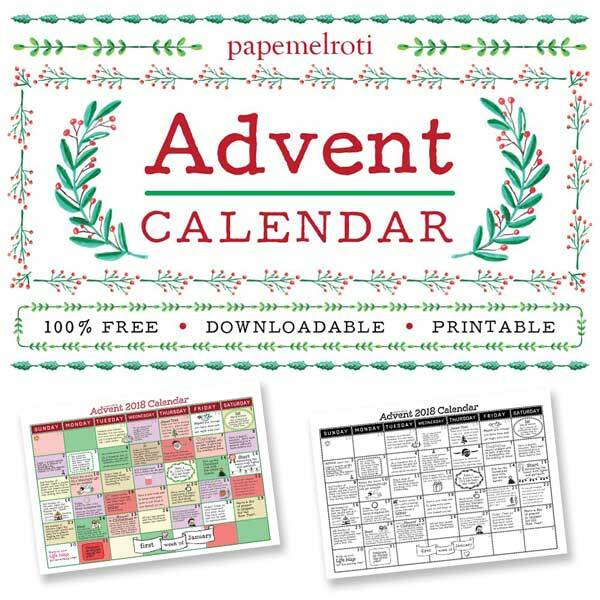 We prepared Free Printables for Christmas as a gift to you! Visit this page to get the DOWNLOADABLE CALENDARS and FUN STUFF!